Words of advice from Kamehameha I, 1891. O Friends, Companions, those who go hand in hand with the Leo, who walk together on the sands of Kakuhihewa moistened by the Kukalahale rains, living from Maunalua to Moanalua. Greetings to you all. 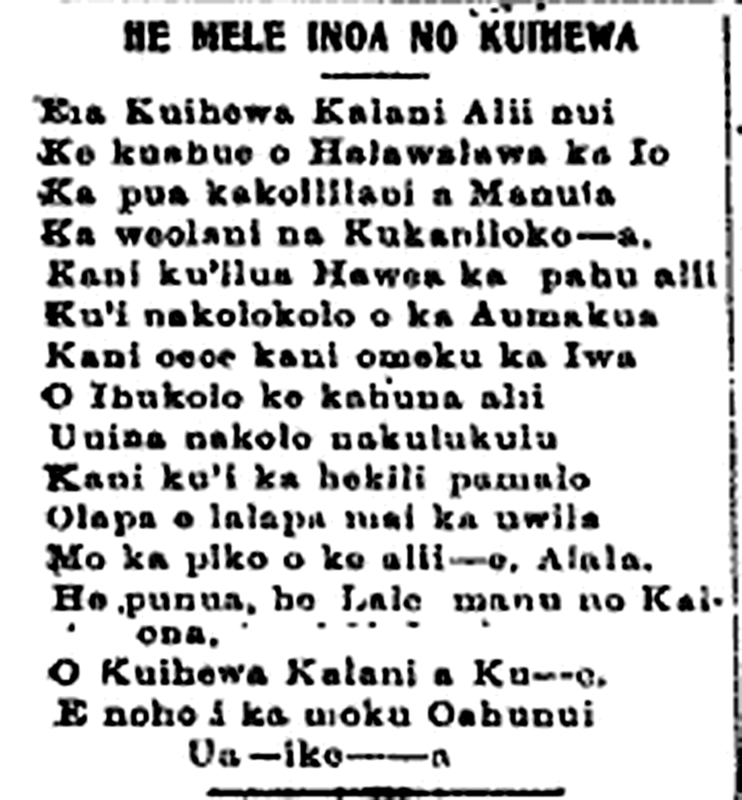 A mele inoa for Kuihewa, 1914. Ka Holomua, Buke II, Helu 2, Aoao 1. Okatoba 10, 1914. 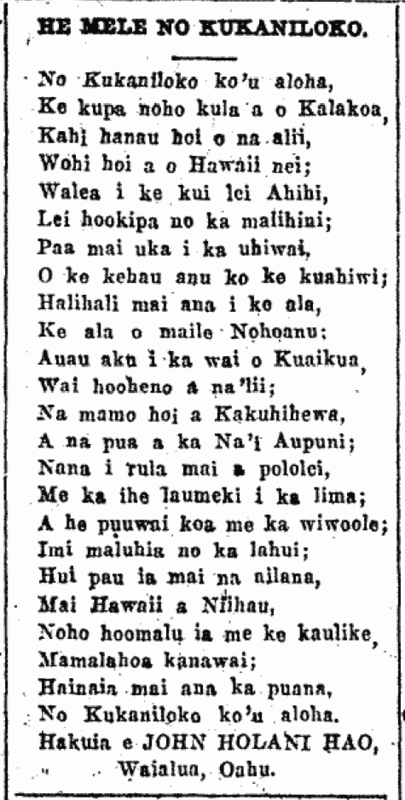 Mele for the birthplace of alii, Kukanikolo, 1925. For Kukaniloko is my aloha. Ka Nupepa Kuokoa, Buke LXIV, Helu 22, Aoao 7. Mei 28, 1925.